PET Bottle Shrinking Packaging Machine is mainly design for beer, soft drinks, purified water, juices, dairy drinks. 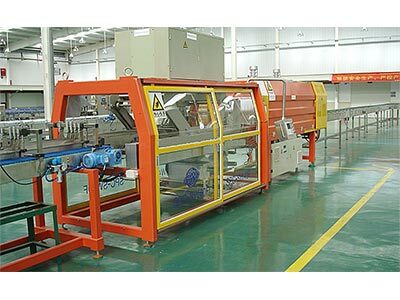 PET bottle shrinking packaging equipment with a feed conveyor, bottle, wrap film, sealing, shrinking and cooling processes such as full automation. Using the world’s advanced thin film technology thermostatic heat sealing clear and firm. Fast sealing and cooling structure could make it possible that high speed producing rate condition with higher sealing strength.